Dawn is a litigation partner. Her primary areas of practice include insurance defence litigation, commercial litigation and power of attorney and estate litigation. 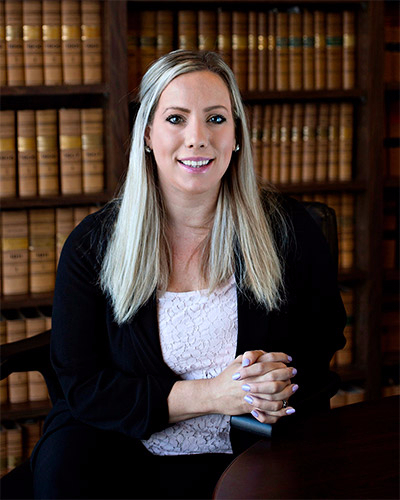 Dawn has a wealth of experience with professional negligence matters, municipal liability and personal injury litigation. She also has substantial experience in dealing with abuse and sexual assault in civil lawsuits. Dawn has a reputation for being effective and practical in her approach to litigation. She is a fierce advocate for her client's rights, dedicated to achieving the best result. In the power of attorney and estate litigation field, Dawn has successfully represented clients in disputes concerning the ownership or entitlement to property, the validity of Wills, interpretations of Wills and claims concerning the administration of estates. She also has a wealth of experience with claims against trustees and fiduciaries (acting under a power of attorney), claims for the support of dependents, estate accountings and guardianship applications. A Waterloo Region native, Dawn pursued her undergraduate degree at Brock University where she graduated with distinction. Dawn went on to study law at the University of Western Ontario. Dawn articled with Madorin, Snyder LLP and joined the firm as an associate after her call to the bar in June, 2009. Dawn is active in the community, volunteering her time on Boards and working with a variety of fundraising events. She is also a proud resident of Wilmot Township.